People living at Heatherwood Lakes dedicated this year’s Easter event to the Lights for Layla that was created after 8-year-old Layla Aiken was struck and killed while waiting for the school bus last month. 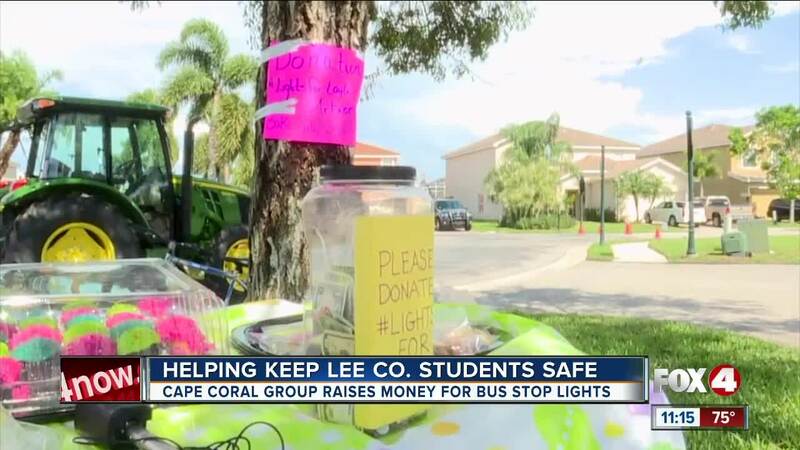 CAPE CORAL, Fla. — People living at Heatherwood Lakes dedicated this year’s Easter event to the Lights for Layla that was created after 8-year-old Layla Aiken was struck and killed while waiting for the school bus last month. The community is just blocks away from Aiken’s school Trafalgar Elementary. Everglades Equipment Group sponsored the event. Scott Gervais with Everglades said the goal for Saturday’s event is to allow the kids who live at Heatherwood to have fun and keep kids in Cape Coral safe. “We really want to help our community and help out with the tragedy that did happen,” he said. Evelyn Jarvis on Heatherwood’s planning committee said they’re going beyond the fundraiser and working to change their local bus stop. She said citywide change won’t happen right away, so her community is doing what they can to protect students now. They raised nearly $300 for Lights for Layla Saturday. Heatherwood’s planning committee said they’ll donate funds next week.